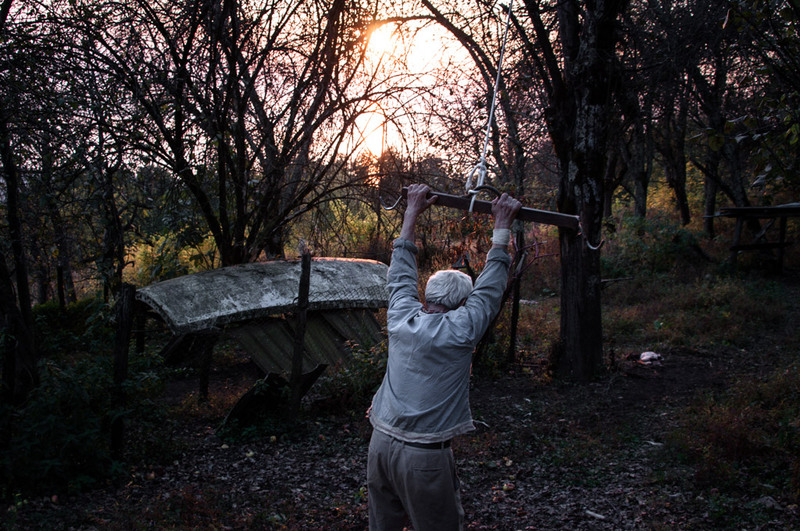 Scars of Independence is about the disputed region of Abkhazia, which was destroyed by civil war during the collapse of the former Soviet Union, and which self-proclaimed independence from Georgia just over twenty years ago. 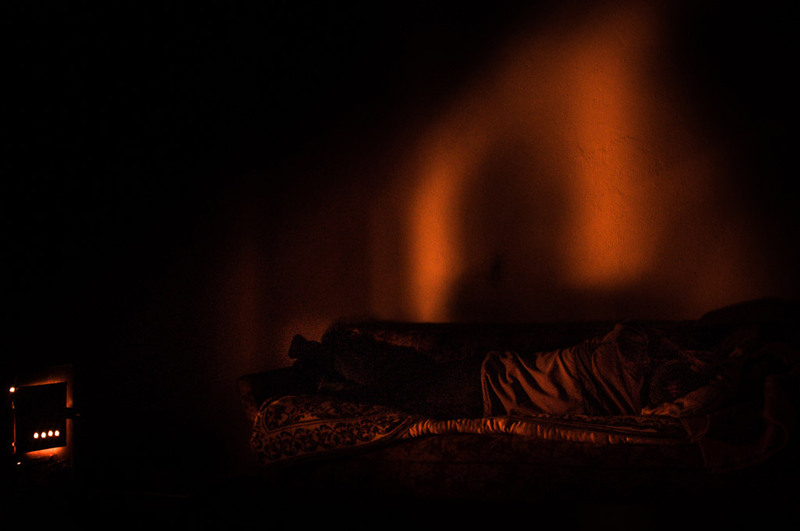 A man warms himself near the furnace. Energy shortage is a problem in the region. 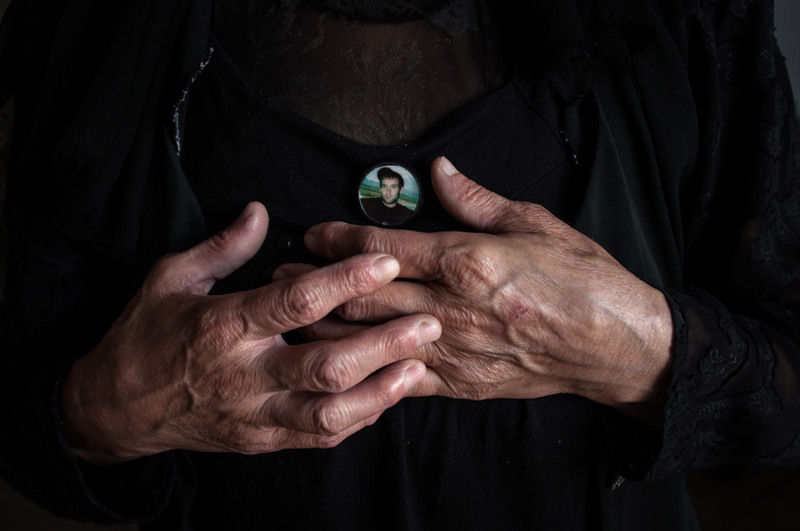 A mother in mourning for her son who died in a car accident. 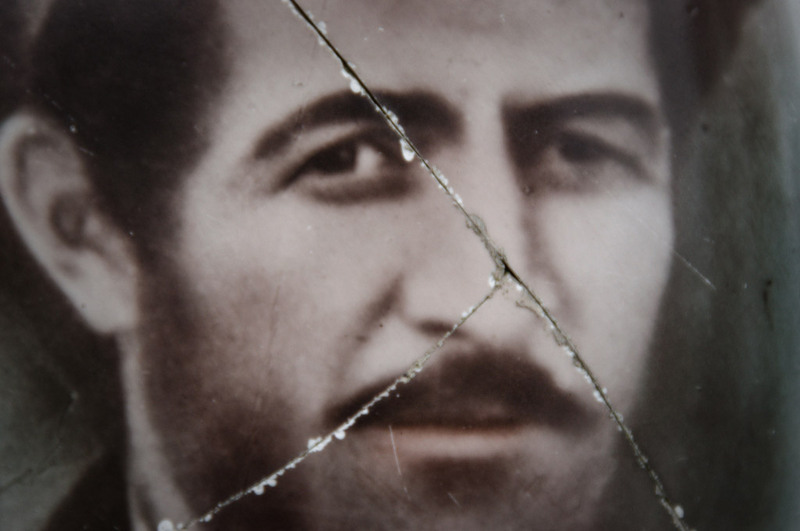 Wearing a pin with a photograph of the dead is an old Caucasian tradition. In recent years, drug addiction and car accidents cause are two of the main causes of death for young people. 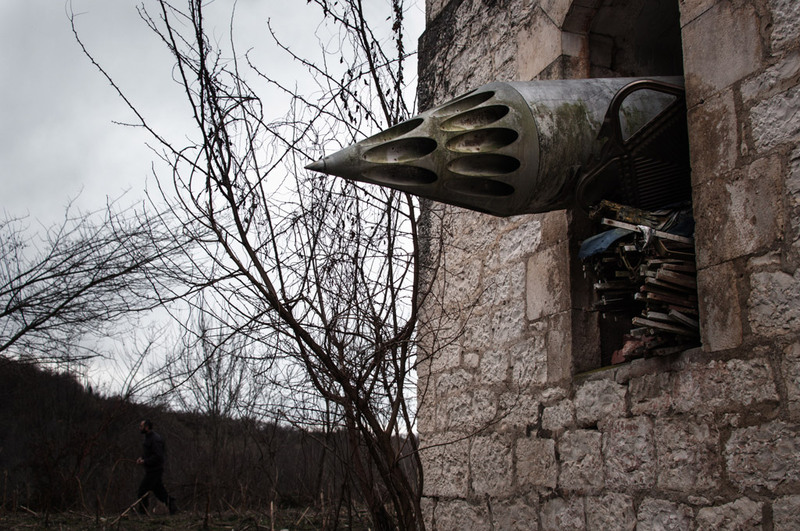 An unguided missile launching mount left in an Orthodox church, which was destroyed during the war. 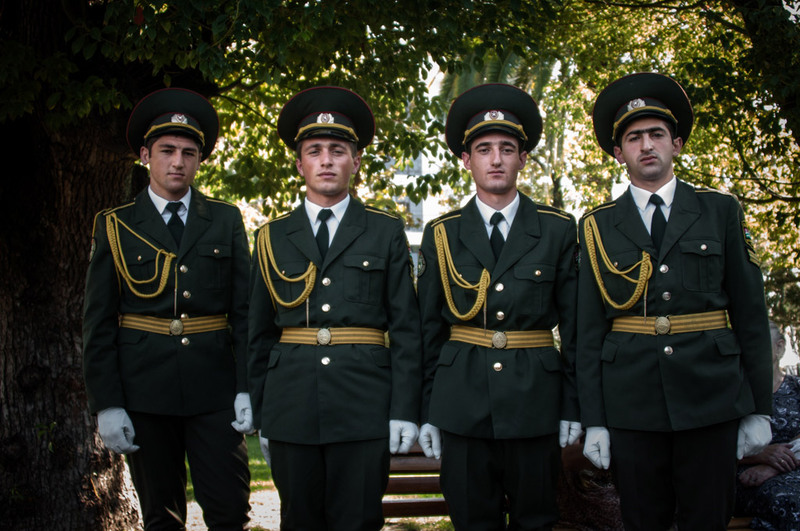 Young men in the full dress uniform of the armed forces of Abkhazia. 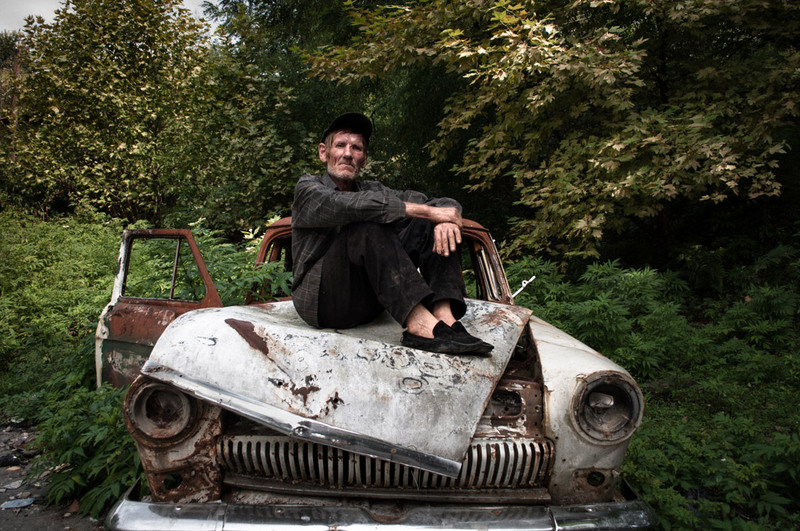 The owner of a Volga sits on his rusty car. At one time, Volgas were a symbol of high social status in the former Soviet Union. 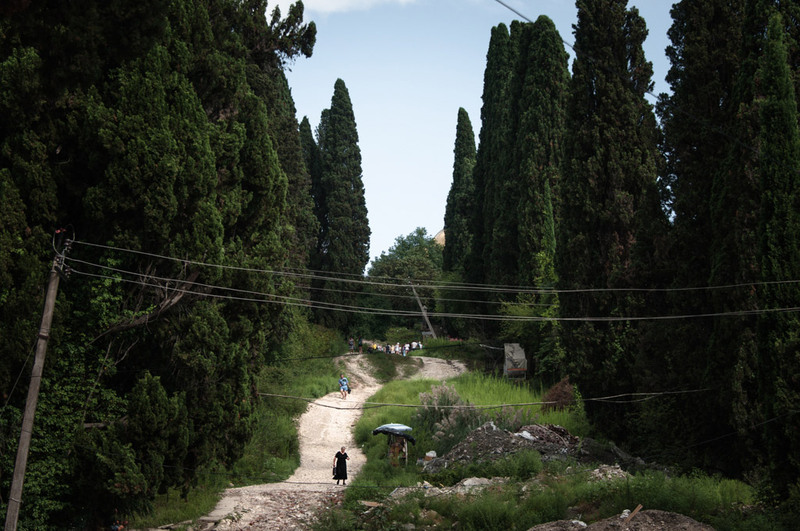 A road leading to New Athos Monastery. 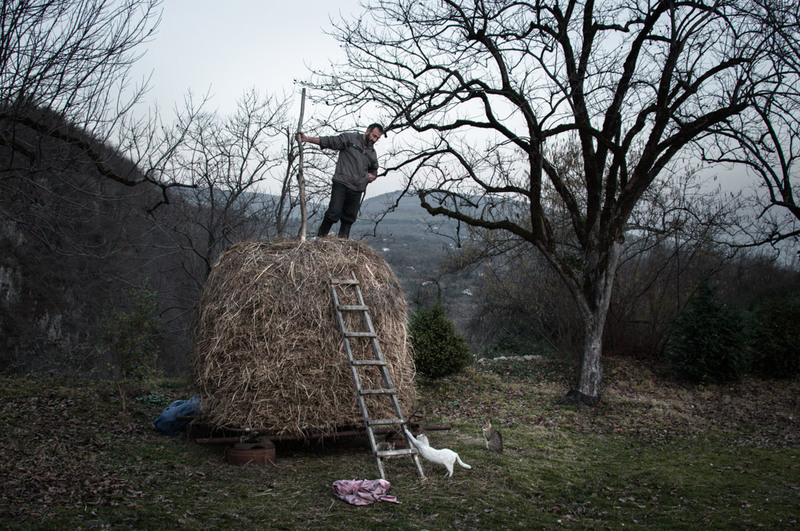 A farmer in his yard. 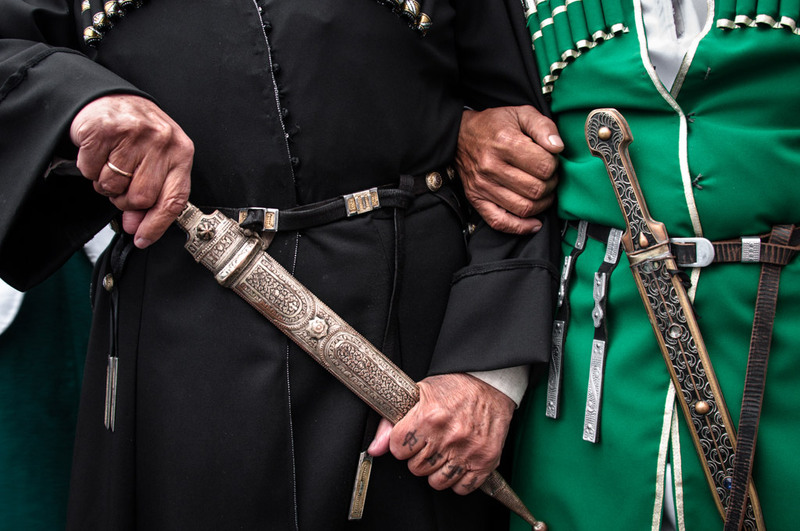 The twentieth-anniversary celebration of Abkhazia’s self-proclaimed independence. In the background is the former house of government in Sukhum, the capital. 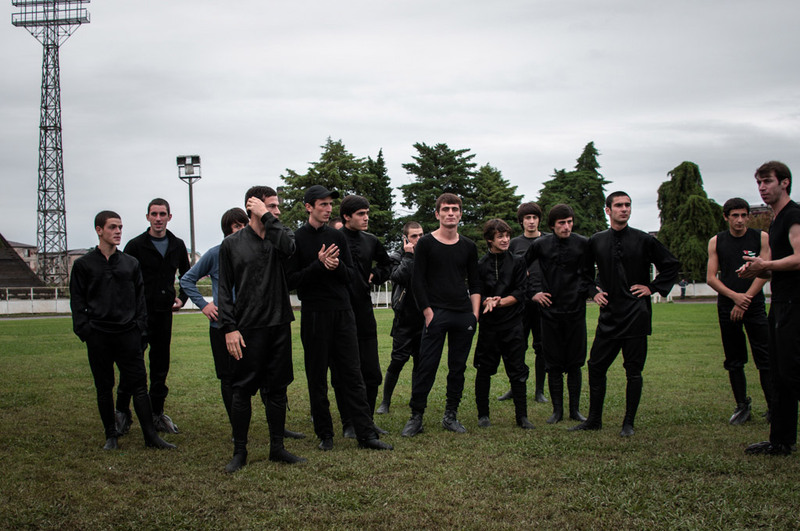 Young men gather in the main Republican stadium during the twentieth-anniversary celebration Abkhazia’s self-proclaimed independence. 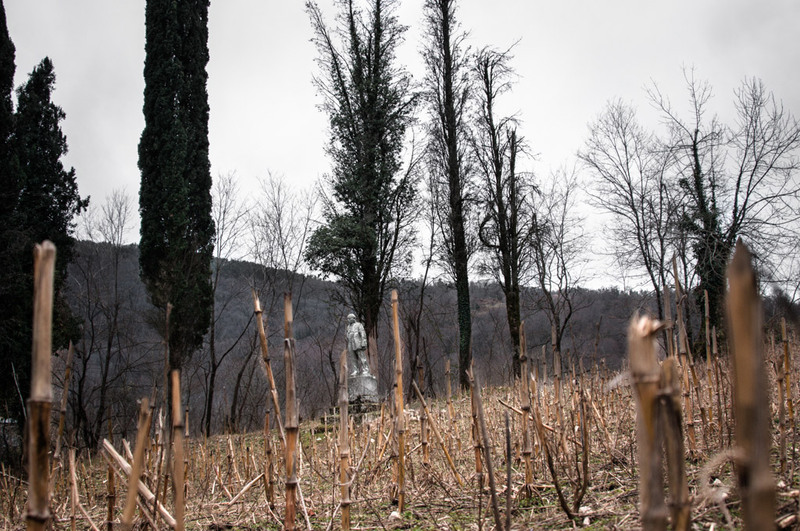 An Abkhazian family grave in the middle of the forest. Сhildren wearing the Soviet school uniform on their way to school. A monument of Vladimir Lenin, Russian politician and political theorist of the USSR times, on a corn field. 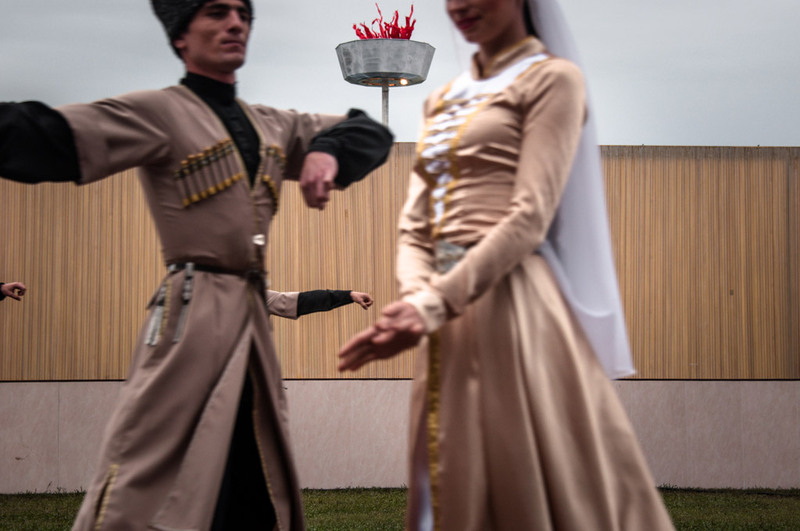 Dancers from the national dancing-troupe perform in the main Republican stadium in the capital. The oldest Abkhazian folk company tours only in Russia and in "fraternal" former Soviet republics – partially-recognized South Ossetia and unrecognized Transdniester. The republics of Abkhazia, South Ossetia and Transdniester have formed "The Commonwealth for the Democracy and the Peoples' Rights,” which they believe will help all of them become equal members of the international community. A couple sits in a railway station destroyed during the war on the Ptsirtskha River. Now there is only bus service inside the country. 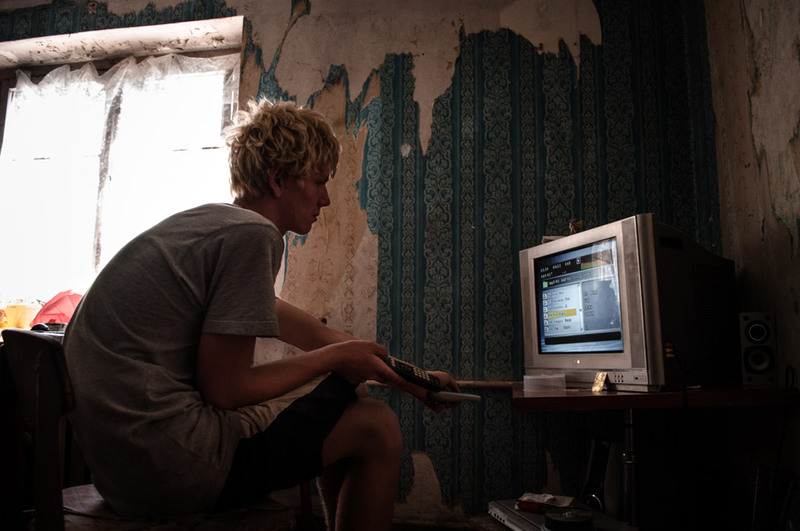 Ivan, born two years after the conflict ended, watches TV in his room. 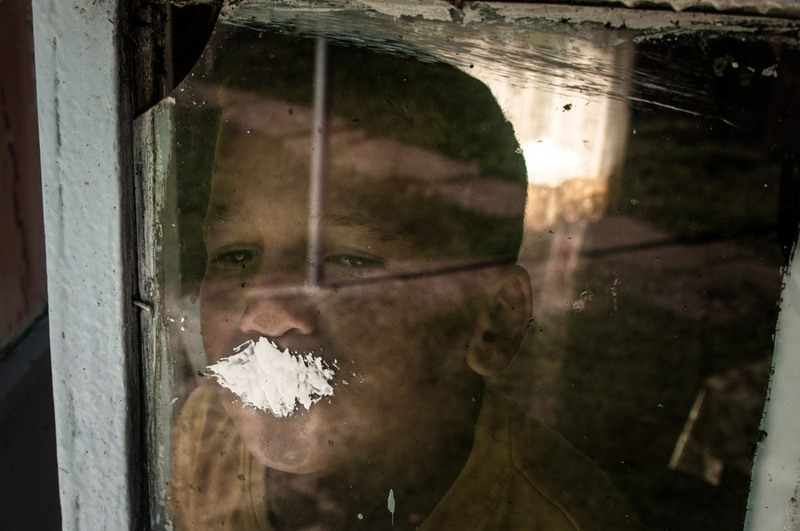 A boy is sitting in his yard. 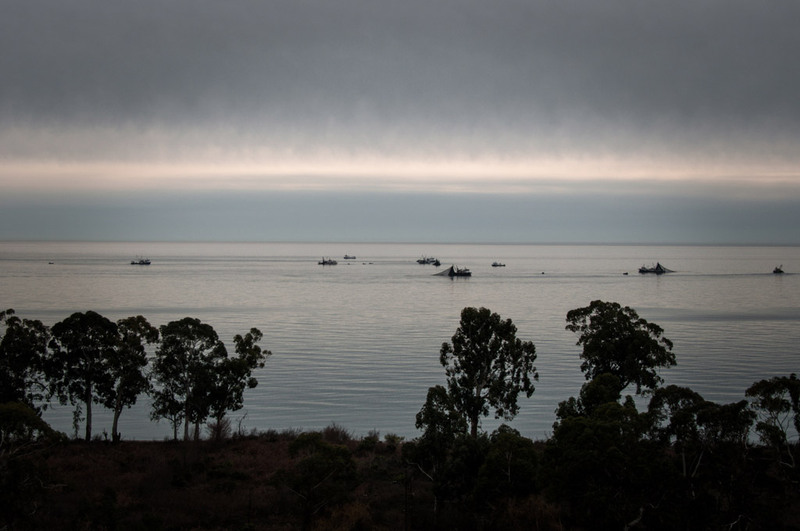 Turkish fishing boats off the Abkhazian coast. A man in his yard. 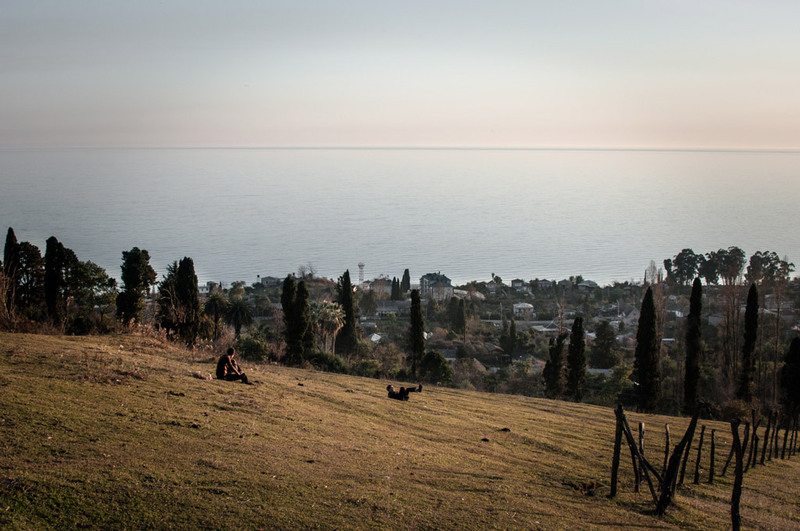 A view of Sukhum, the capital of Abkhazia. 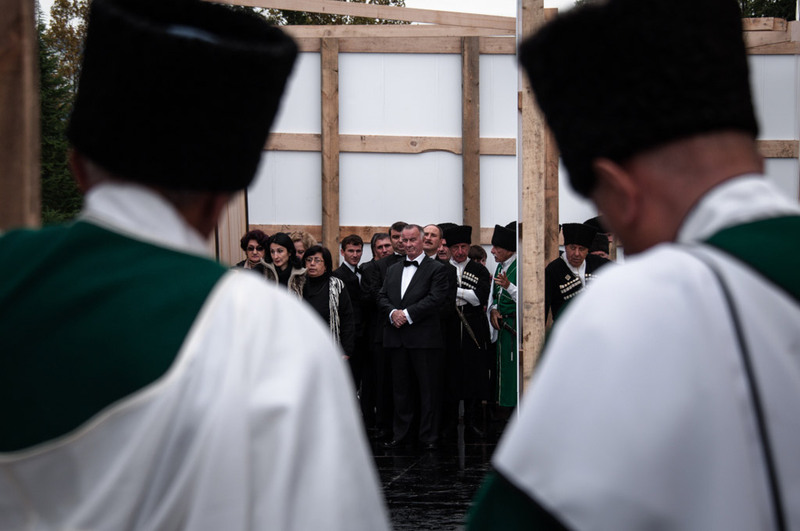 Men in traditional Caucasian dress during the twentieth-anniversary celebration of Abkhazia’s self-proclaimed independence. The ruins of the fortress of Anakopia, which was the capital of the Abkhazian Kingdom in the middle ages. Men in traditional Caucasian dress. An evening scene in a courtyard. 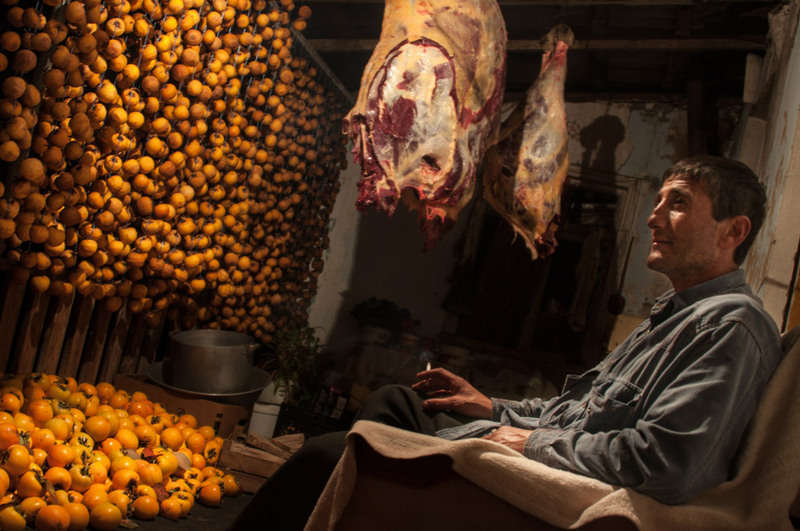 A butcher relaxes after a long night of work. For many locals, subsistence farming is the only way to survive and feed their families. On the road to Eshera village. On Friday night suffering from terrible pain I was brought to the hospital in the capital city of Sukhumi. They admitted me, suspecting pregnancy, appendicitis and flu simultaneously -- and then left for the weekend. I had to go out on my own to buy anesthetics and medicine droppers that kept me going for two days. A surgeon came on Monday and diagnosed abdominal bleeding. He carried out an urgent operation as it was too late for me to fly home. I was saved. I lost about a liter of blood and got a scar that still serves as a reminder of that day. The next week I spent talking to my ward neighbors and other patients with whom I had been brought together by this accident. Every one of them had his or her own story, but all served as puzzle pieces of the picture of the place where I found myself. After months of recovery at home, I decided to come back to explore all that I saw and heard there. Since then I have returned to Abkhazia many times. Abkhazia is a disputed region on the Eastern coast of the Black Sea and the South-Western flank of the Caucasus. Once it was a prosperous subtropical oasis and seaside resort of the former Soviet Union, a home to Olympic sport facilities with a tourism-based economy. 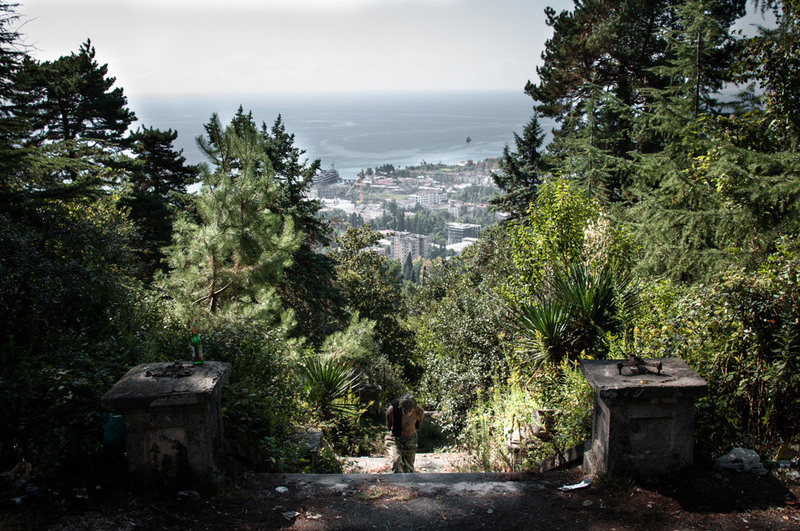 But Abkhazia was destroyed by civil war straight after the collapse of the Soviet Union and broke away from Georgia in the early 1990s. Although the European Union, OSCE, and NATO all recognize the republic as a part of Georgia's territory, Abkhazia considers itself an independent state, called the Republic of Abkhazia or Apsny. Only Russia, Venezuela, Nicaragua, Tuvalu, and Nauru have recognized its independence. It's a next-door region to the resort city of Sochi which hosted the Olympic Winter Games 2014. 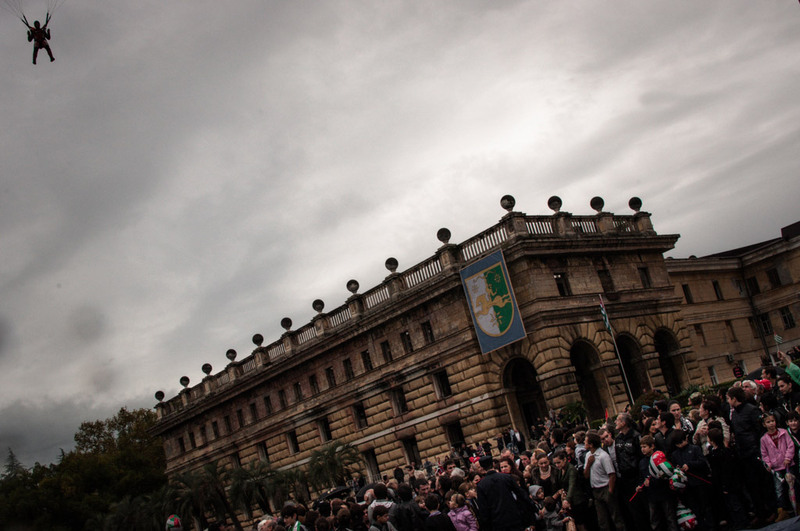 In September 2013 Abkhazia celebrated the 20th anniversary of its self-proclaimed independence. Every year people mark the date with a military parade, although their country doesn't exist on world political maps and the Abkhazian passport is invalid abroad. In these 20 years, several generations have already changed, but the country still can't get over the high level of unemployment, criminality, ethnic frictions, and corruption. And all of this is wrapped in a casing of bombastic state propaganda proclaiming the development of foreign relations and the strengthening of the national identity. I have named this project “Scars of Independence” because I attempt to understand the price that people have to pay for taking part in a struggle for freedom and independence that they are not bound to use. I try to show how the aftermath of geopolitical games continues to inflict people with physical and moral scars, including my own. 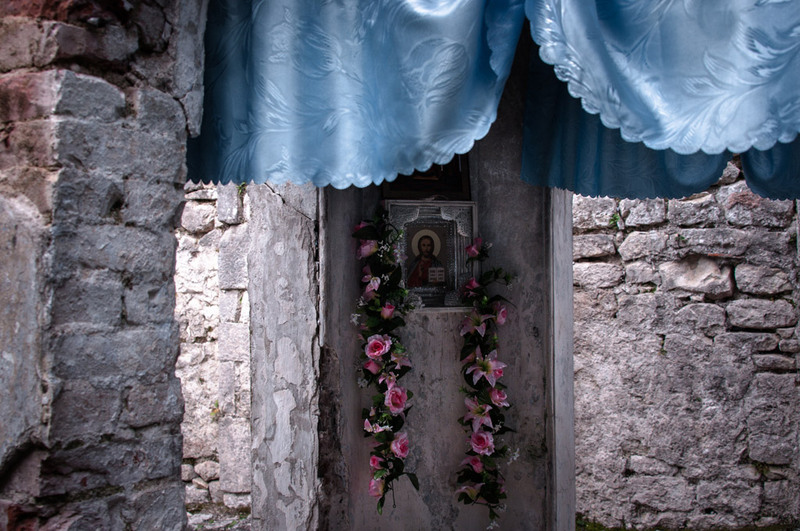 Post-war devastation, neglect, and isolation transform both people and the land they inhabit, and sooner or later it leads to a national confusion about identity and a productive path forward. This is a very pressing issue for the republic today – one to be solved not only by native Abkhazians but also by newly-formed communities that didn't participate in the military conflict and who will influence this process in the future. 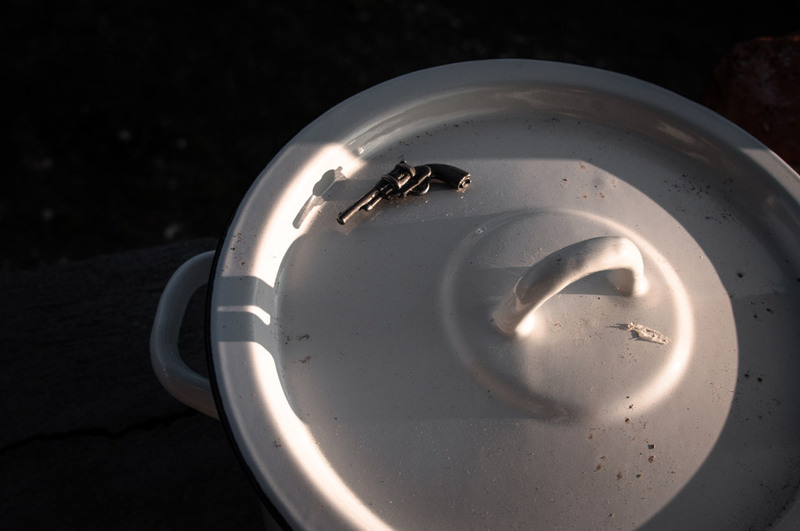 With this series I make a metaphorical reference to other regions and countries in the midst of military conflicts whose citizens will face similar problems in the future. 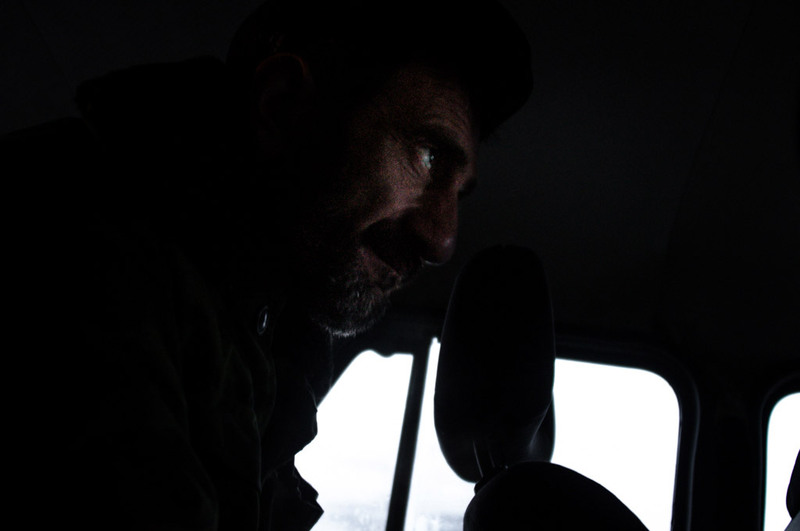 Olga Ingurazova is a freelance documentary photographer with a background in international relations and economics based in Moscow, Russia. After years of working in the tourism industry, she became active as a photographer and a visual journalist in 2010. 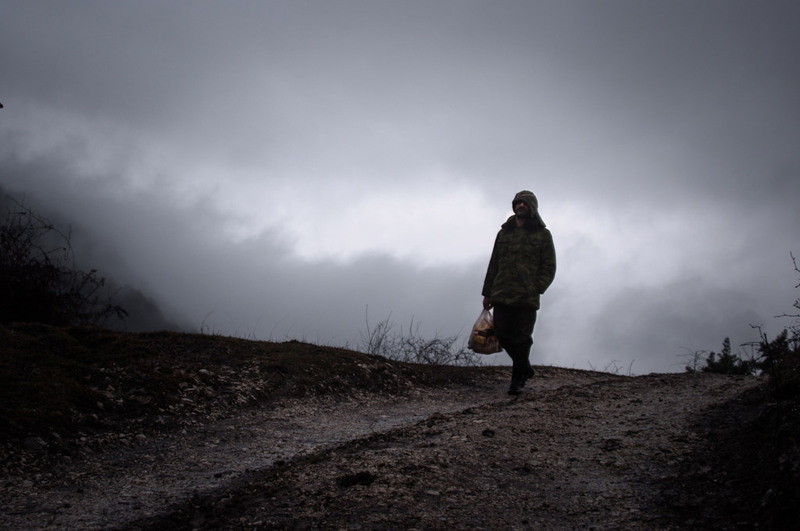 Olga began her photography career by documenting post-conflict recovery and the aftermath of separatist movements in the Caucasus. Her works have been exhibited in Russia, France, Italy, Portugal, Georgia, Croatia, Latvia and Lithuania. 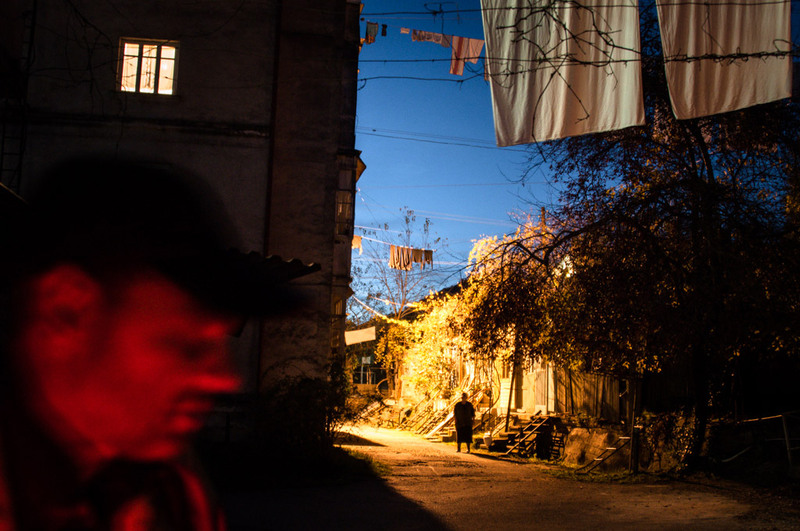 Olga's reportages on Syrian refugees in the Caucasus, on Euro 2012 in Poland and Ukraine, and on FIFA 2014 in Brazil were published by Lens Culture, Russian Reporter, Kommersant, Ogoniok and others. Her photographs are a part of the permanent collection of the State Russian Museum in St. Petersburg. 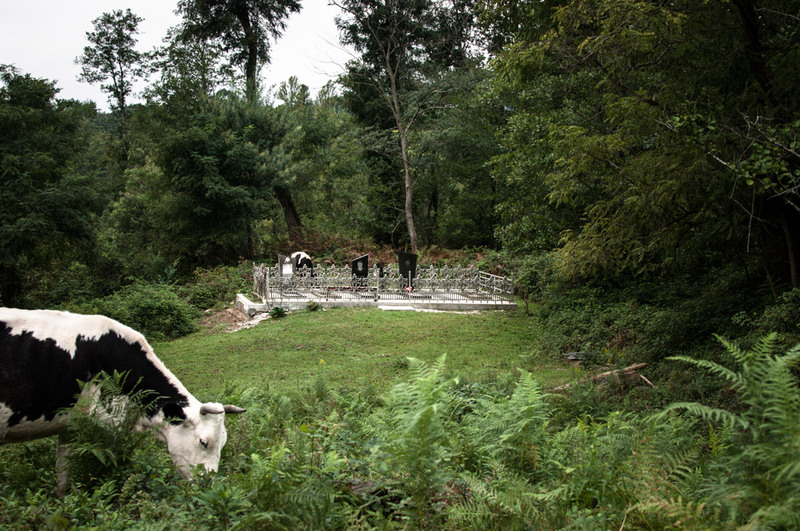 Currently she is focused on personal long-term projects, working in both photography and multimedia. At the center of her attention are the effects of political, social and environmental processes on peoples’ lives and on the land they inhabit.